Production has resumed at Kellingley Colliery after a methane gas explosion brought operations to a halt last month. More than 200 miners were brought safely out of the pit, which lies on the border of West and North Yorkshire, after the incident on 30 November. The suspension reduced production by between 100,000 and 200,000 tonnes. 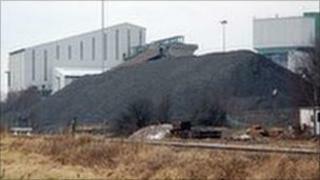 UK Coal said inspections had confirmed it was now safe for miners to return to the coalface. It is thought the methane gas ignited when temperatures hit critical levels. Nitrogen was pumped into the affected area to starve it of oxygen and to help normalise the atmosphere. Inspections have been taking place on a daily basis since the incident and UK Coal said there had been no damage to either machinery or the coalface itself. In a bid to make up the production shortfall, UK Coal said operations at Kellingley, and its other deep mines, would continue throughout most of the Christmas and new year period.